The dispute between parties (Horiike v. Coldwell Banker Residential Brokerage) arose over the interpretation of a California agency law statute and whether the listing agent owed the homebuyer the same fiduciary duties as his seller client since the listing agent and the buyer agent both worked for the listing brokerage, Coldwell Banker. The parties argued over what the homebuyer believed was the listing agent's duty to disclose a discrepancy over the home's square footage. Coldwell Banker's lawyers argued to the California Supreme Court that the listing agent owed full fiduciary duties only to the seller while the buyer agent owed full fiduciary duties only to the homebuyer, even though as the dual agent Coldwell Banker represented both the homebuyer and seller. The lawyers for the plaintiff, Hiroshi Horiike, argued that as dual agent Coldwell Banker owed the homebuyer client-level fiduciary duties; therefore, the listing agent, who also worked for Coldwell Banker, also owed the homebuyer the same fiduciary duties. "As this case demonstrates, few consumers fully understand the relationships between real estate brokers and their agents, or licensed associates, who list homes on behalf of sellers and show homes to potential buyers," the National Association of Exclusive Buyer Agents (NAEBA) argued in its amicus curiae (friend of the court) brief on behalf of Horiike's position. "Most buyers understand they should have a buyer agent, but very few realize that what they are offered by most brokers is not an exclusive buyer agent at all, but an associate working for a broker that represents both buyers and sellers." The real estate industry tolerates the lack of understanding by consumers because dual agency and designated buyer agency, which is common in Massachusetts and New Hampshire, is lucrative to real estate firms. When a homebuyer and seller are each represented exclusively by real estate agents employed by different brokers, the commission that the seller pays to the listing broker is divided between the two brokers. On the other hand, when a homebuyer and seller are represented by agents who work for the same brokerage, that real estate brokerage can make twice as much on a single transaction. "Many traditional real estate agents would argue that the vast majority of dual agent and designated buyer agent transactions go smoothly," Richard Rosa, co-founder of Buyers Brokers Only, LLC, said, "but why would a consumer want to take a chance? Why not avoid the potential obvious conflicts of interest and retain an advocate who is unhindered by divided loyalties? Besides, just because a transaction went smoothly doesn't mean the homebuyer received the benefits provided by a strong, loyal advocate." Individual homebuyers today can choose to work with an exclusive buyer agent, but few are aware there is any advantage to doing so, or that the buyer agent provided by most brokerage firms is not their exclusive agent. "Consumers rarely understand that they are contracting with the broker, not the associate, or that the broker and the associate may become dual agents if the buyer becomes interested in a property listed by the same broker – something that happens fairly often with large brokerage firms," NAEBA argued in its brief to the California Supreme Court. 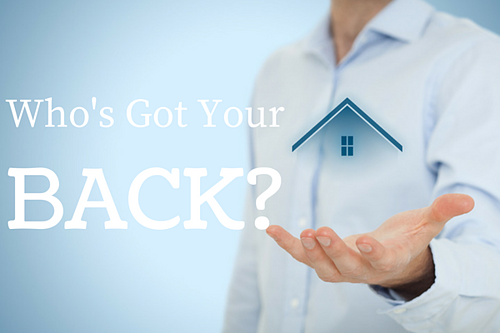 "The broker protects itself by having the buyer sign a disclosure form agreeing to dual agency. Although the buyer rarely (if ever) understands that he is signing away his right to an exclusive agent, the broker and its associates use the form to try and limit their liability if the buyer later sues for undisclosed defects or misrepresentations." In Massachusetts and New Hampshire, real estate agents and real estate brokers must disclose their agency relationship with the consumer before working as that consumer's real estate agent. "Even when state-mandated agency disclosures are properly presented to consumers, consumers believe that they have an agent's undivided loyalty, but that is rarely the case," Richard Rosa, co-founder of Buyers Brokers Only, LLC, said. "Without an exclusive buyer agent – a buyer agent that only works for homebuyers at a firm that does not take home listings from sellers – there is a question of loyalty." ABOUT BUYERS BROKERS ONLY, LLC: Founded in 2005, Buyers Brokers Only, LLC's business model has always been to avoid the conflicts of interest that often arise between real estate agents and their clients. The real estate agents at Buyers Brokers Only are 100 percent loyal to homebuyers 100 percent of the time. No buyer agent at the company ever represents sellers, so every buyer agent can provide dedicated buyer agency services to their home-buying clients. Buyers Brokers Only represents homebuyers in Massachusetts and New Hampshire. Buyers Brokers Only does not ever represent sellers.